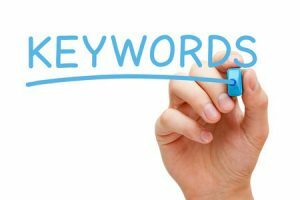 Identifying the correct Key words is an important part of any SEO strategy. Trying to rank for very popular keywords or ones that are never searched is not a successful plan. Keyword planner software is widely available to do research. These software products can tell you how often a keyword is searched and alternative keywords to target. Having a wide variety of keywords, both Head Terms and Long Tail Keywords is an effective way to increase qualified traffic to your site. Header Terms are usually 1 to 3 words and are very general and more difficult to rank for than Long Tail Keywords. Long Tail Keywords are longer then 3 words and more specific and easier to rank higher in search engines. After identifying the keywords you are using on each page it is important to rewrite your text to include these phases. Search engines will give preferred listing to pages that have the keywords in the text, but always keep in mind that the text must be readable and understandable to humans. A page full of keywords will never rank well in the long run. It is best to put 2 to 3 keyword phases on each page. Google likes websites with many pages, so having a page for each product or service will give you more opportunities to rank with more keywords in search engines. Gathering and analyzing research data on a regular basis, either monthly or at least Quarterly, is important to the success of any SEO plan. Reviewing the SEO plan with hard numbers will create a path to success. We can see which keywords are preforming well and which need to be updated or changed. Taking the time to do this task will reap many rewards down the line with current keywords and a better ranking site overall. If you have any questions or would like to discuss a SEO plan send us an email at ksheridan@gitwebservices.com or call us 732 863 1455.